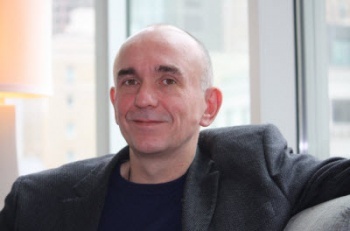 A certain virtual boy is the subject of Peter Molyneux's upcoming TED talk. Milo might never get released as a game, but that doesn't mean that there isn't anything left to say about him. In two weeks time, Peter Molyneux will join activists, advocates and artists at TEDGlobal 2010 in Oxford, UK, and as part of a session titled "Human Systems" will speak about Milo to conference attendees. What aspect of Milo the talk will focus on isn't clear, and the summary listed on the TED website is very light on details. If Milo is a project that has been shelved, as Aaron Greenberg's comments seemed to indicate, it could be a retrospective, but if it's still being worked on then it could look at the technology that powers Milo, or what Molyneux's visions for the project, or any one of dozens of other aspects. While Molyneux's reach often exceeds his grasp, he's passionate about games and I must admit that I find his enthusiasm very infectious. Regardless of what his talk actually focuses on, I think it's going to be very interesting to listen to. Molyneux's talk takes place during the second session of TEDGlobal 2010, which starts at 4:45PM GMT on July 13th.